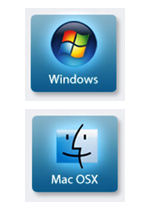 Pro and Basic edition are for Windows, Mac edition just for Mac OS 10. Recommended Pro/Mac edition with full features. FMiner is a software for web scraping, web data extraction, screen scraping, web harvesting, web crawling and web macro support for windows and Mac OS X. It is an easy to use web data extraction tool that combines best-in-class features with an intuitive visual project design tool, to make your next data mining project a breeze. Whether faced with routine web scrapping tasks, or highly complex data extraction projects requiring form inputs, proxy server lists, ajax handling and multi-layered multi-table crawls, FMiner is the web scrapping tool for you. With FMiner, you can quickly master data mining techniques to harvest data from a variety of websites ranging from online product catalogs and real estate classifieds sites to popular search engines and yellow page directories. Simply select your output file format and record your steps on FMiner as you walk through your data extraction steps on your target web site. FMiner's powerful visual design tool captures every step and models a process map that interacts with the target site pages to capture the information you've identified. Using preset selections for data type and your output file, the data elements you've selected are saved in your choice of Excel, CSV or SQL format and parsed to your specifications. And equally important, if your project requires regular updates, FMiner's integrated scheduling module allows you to define periodic extractions schedules at which point the project will auto-run new or incremental data extracts. Design a data extraction project with the easy to use visual editor in less than ten minutes. Use the simple point and click interface to record a scrape project much as you would click through the target site. Drill through site pages using a combination of link structures, automated form input value entries, drop-down selections or url pattern matching. Upload input values to be used with the target website's web form to automatically query thousands of keywords and submit a form for each keyword. Breeze through multilevel nested extractions. Crawl link structures to capture nested product catalogue, search results or directory content. Expedite data extraction with FMiner's multi-browser crawling capability. Export harvested records in any number of formats including Excel, CSV, XML/HTML, JSON and popular databases (Oracle, MS SQL, MySQL). Get around target website CAPCHA protection using manual entry or third-party automated decaptcha services. Request a Customized Project (Starting at $99), we can make any complex project for you. This is working very very well. Nice work. Other companies were quoting us $5,000 - $10,000 for such a project. Thanks for your time and help, we truly appreciate it.